Aiming for crusty, fluffy and flaky, all at the same time! 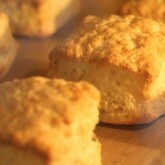 Ever since I first read about American ‘Southern style’ buttermilk biscuits I have been intrigued by them. First there was confusion because of the word biscuit. In the UK a biscuit is a cookie (the word cookie, comes from our Dutch word ‘koekje’ and was adopted in the US centuries ago). 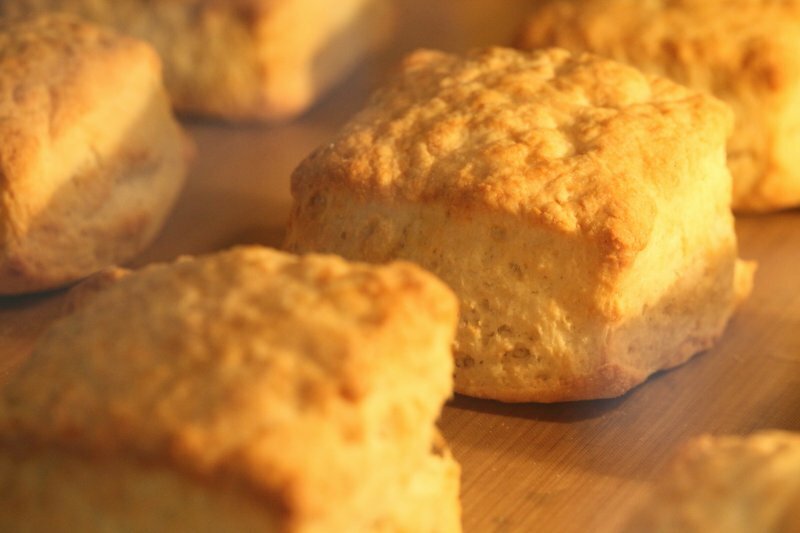 But wait, this biscuit looks like what the British like to call a scone. And the Americans do not seem to eat it with jam and cream, but rather like to serve them with something they call gravy, but it does not look like the stuff we recognize as such! Confused? Just check out this wiki page if you want to brush up on your cookie/biscuit history. I also tried a biscuit version with oil, but I did not like it that much, even when using an oil that is very mild in taste. Like most people, I just love the taste of butter, no shortening, no lard, just real butter. Next to that, I would say these biscuits go with just about everything, sweet or savory. You decide! We especially like it with a bowl of homemade tomato soup. I am not ready with these biscuits yet. There are many schools of biscuit making that teach different ways. 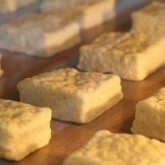 I am sure there are more biscuit making methods and recipes out there worth the effort and equally delicious. This recipe will yield about 12 biscuits (in the pictures I used a double batch of the recipe, making 24 biscuits in total), depending on the size of your cutter. The cutter I use is a 6 x 6 cm /2.36 x 2.36 inch square or a round shape with a 6 cm diameter. 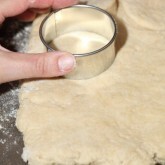 In a bowl combine flour, baking powder, baking soda, salt and sugar. Add the cold butter in cubes and very coarsely rub it into the flour, making sure there are still plenty of pea size morsels of butter in the mixture. Be brave! Now add 150 ml of the buttermilk, stir with the back of a kitchen knife until it just comes together. 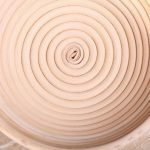 Take a look at the consistency, the dough should come automatically together while stirring, without kneading, and there should be no crumbs left on the bottom of the bowl. Add more buttermilk to absorb all the morsels and crumbs until you have a shaggy mass. I normally end up using all the buttermilk. Mind you, it needs to be sticky to ensure the light consistency of the biscuit. 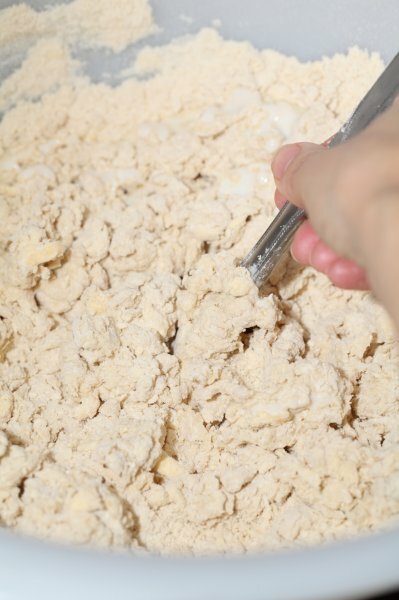 Kneading or too much fumbling will make your biscuits tough and will brake down the morsels of butter in the dough. We do not want that to happen so stop fumbling! 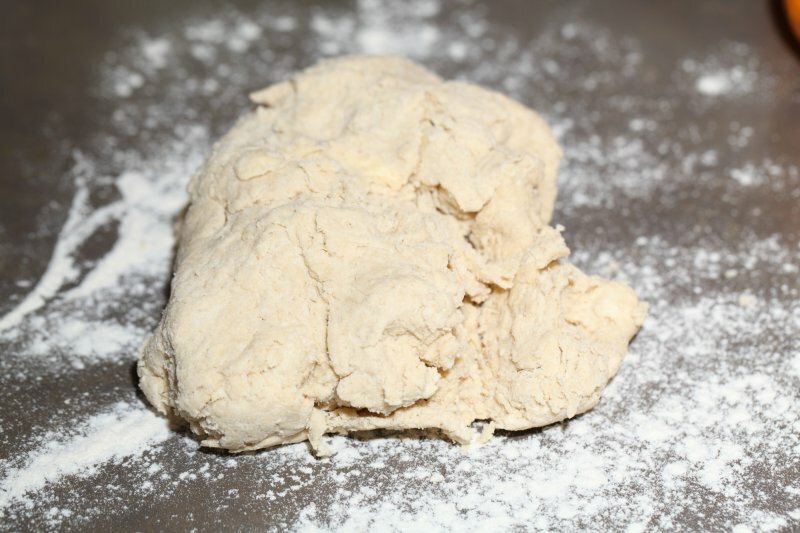 Turn the dough out on a floured work surface. 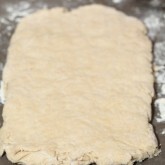 With floured hands, gently pat the dough into a rectangle. Fold the dough into thirds, letter style. 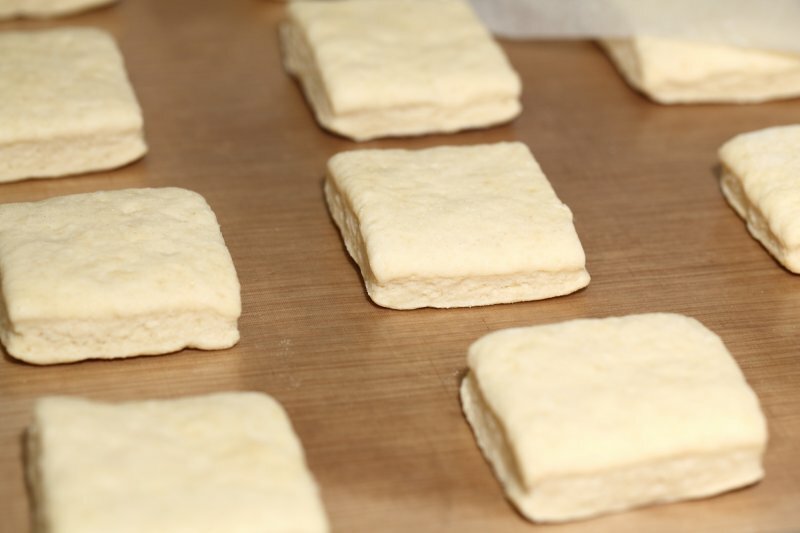 The folding is done to give the biscuits a more flaky texture. 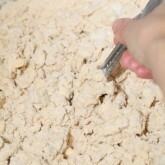 Like I said before, the dough is sticky so it is a good idea to use a plastic scraper to lift and fold the dough. 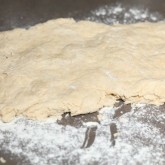 Rotate the dough 90 degrees and again shape the dough into a rectangle and fold into thirds. 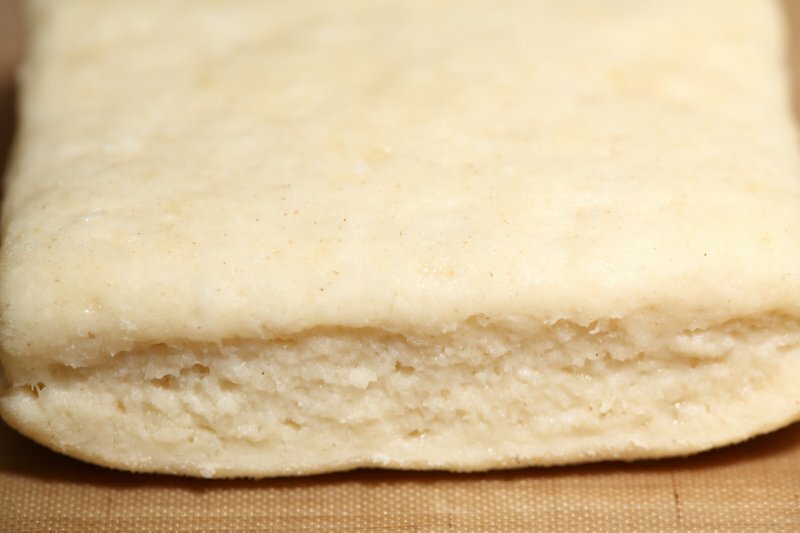 Now again pat the dough into a rectangle making sure it is about about 2.5 cm / 1 inch thick. Preheat your oven to 230ºC / 445ºF. Cut out round or square shapes, whatever you like best. Put them on a lined baking tray. You can put them close together so that the sides are touching and stay soft or leave some space between them for crusty sides. 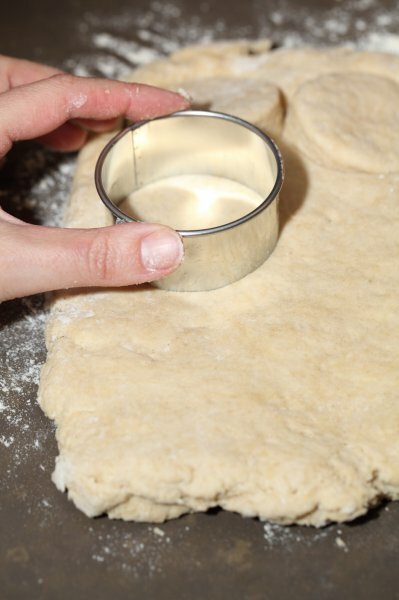 Cover the biscuits with floured clingfilm and leave to relax (not you, but the gluten!) for about 15 minutes. Now you can brush the tops of the biscuits with butter if you like. Put the tray in the oven. 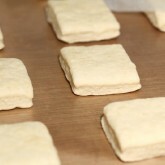 The biscuits take about 14 to 16 minutes of baking. You can rotate them after about 8 minutes to get a more even bake. Keep a close eye on them, they should be pale to golden brown in color. Remove from the oven and serve warm. 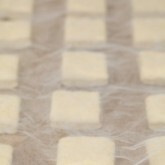 We use type 45 and 55 French flour for these biscuits. 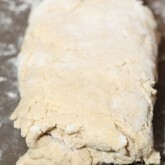 You can also experiment with a combination of all purpose and pastry flour or cake flour. 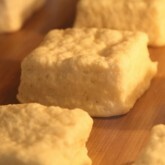 Using only type 45 flour makes them particularly light and fluffy. Using the right kind of flour can make a huge difference for your end result. We use our own home made baking powder. 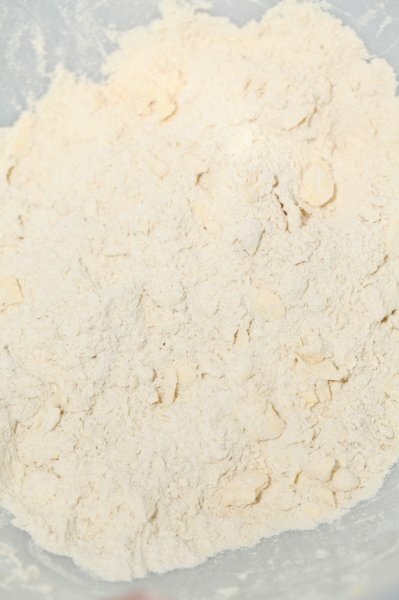 You can find our formula for baking powder and self raising flour here. 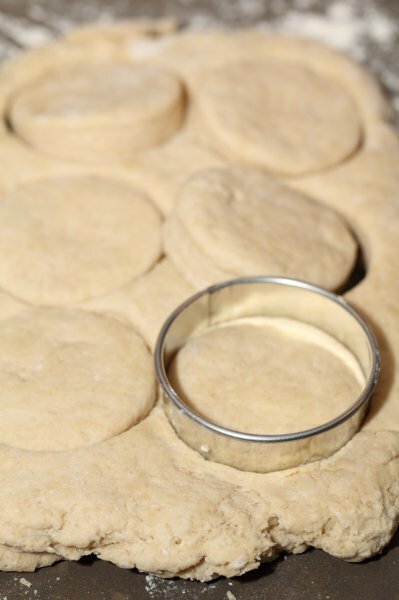 Space between the biscuits means crusty sides, putting them close together will result in soft sides. 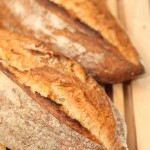 I like crusty, because of the contrast with the soft and fluffy crumb. 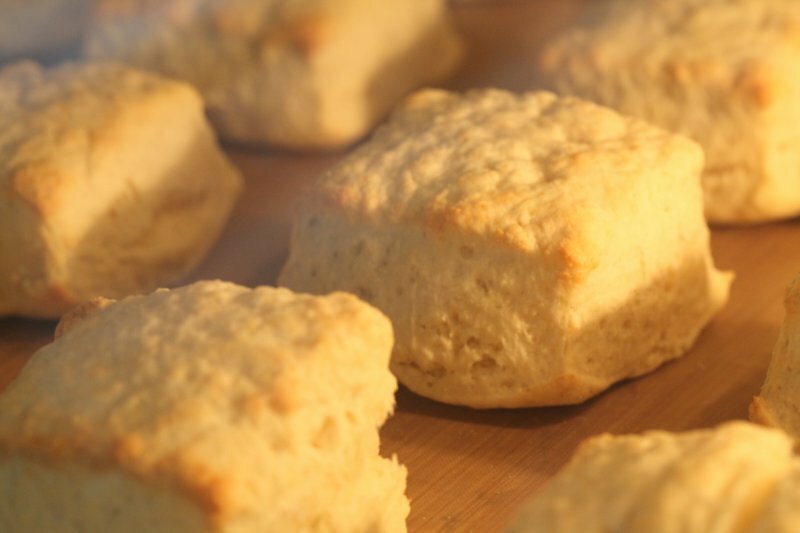 You can keep these biscuits warm for longer if you wrap them in a tea towel after baking. You can also leave them to cool on a rack and store them in the freezer where they will keep for may weeks. You can thaw them and give them a quick pick me up in the oven. What I like to do is to cut them in half and lightly toast them in the toaster so the edges are slightly crispy and the inside is soft and warm. Like I said, these biscuits will probably go with just about anything. And although there is plenty of butter in them, that does not mean they wont get even better with more butter! Just finished making these and they came out perfect. I used 12g sugar, not sure if that makes any difference, and I did a 1:2 ratio of all-purpose flour to pastry flour. Oh, and for buttermilk I used Bob’s Red Mill buttermilk powder and reconstituted buttermilk with it. 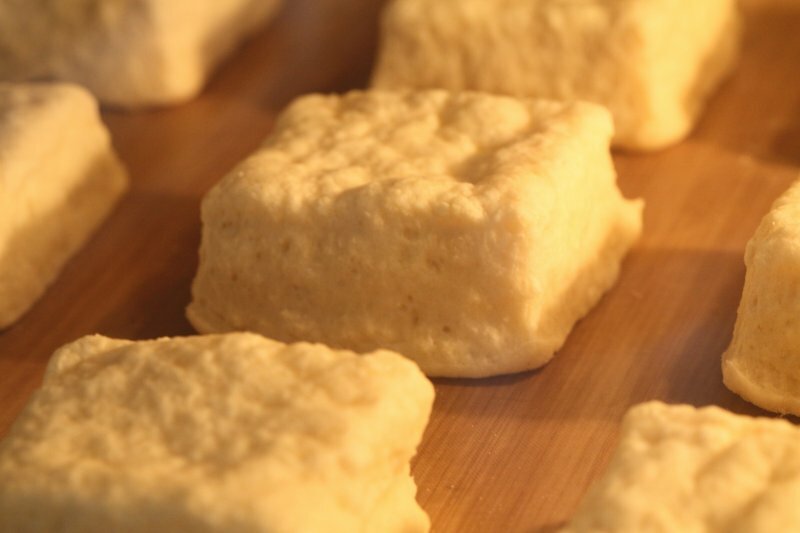 I love the result and my wife, who is a multigeneration Southerner from Alabama, says they are fantastic, though a bit different in taste to what she grew up with because of the use of butter instead of lard or vegetable shortening. Will definitely make again. Thank you Ed and Marieke! Thank you Douglas for the very kind feedback. Don’t think the use of sugar will make any difference for the end result. In Holland buttermilk (karnemelk) is readily available everywhere and we grew up with it. Just like many people grew up with the use of lard in all kinds of dishes. That was just a little bit before our time, so we are not used to using it anymore, but many people say it gives excellent taste. Happy biscuit baking and greetings from the low countries! This is so interesting. I think you have hit upon various segments of the spectrum, and various perspectives throughout time. My grandma, who was born in the South, said she ate biscuits for breakfast every day as a child, uses shortening (solid vegetable fat). This is a more “modern” product than those mentioning lard. Both lard and shortening are white, and solid at room temperature. 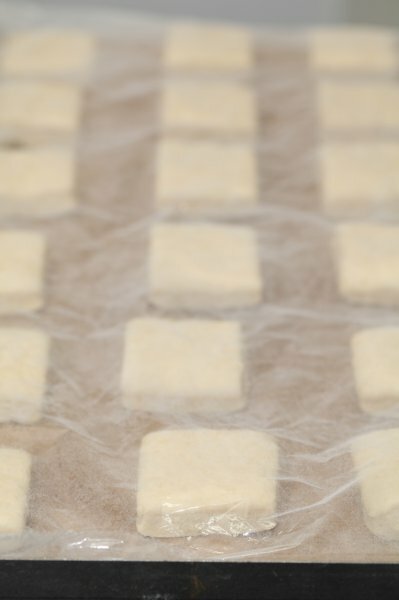 Using bleached flour and shortening gives a very white biscuit, which is appealing in its own way to some. 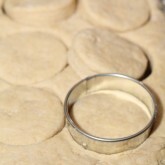 Many people may now prefer to use butter, and it (like unbleached flour) gives a more golden, yellow biscuit. I think yours are an admirable effort that I would be delighted to eat! Thank you so much for your insightful comment. You are very right, based on often delightful childhood memories and the way your (grand)mother used to make them, it may be the only right way for a lot of people might be the use of lard or shortening. But indeed it does not mean biscuits made with butter are not totally delicious too in there own right. OMG, they do look great BUT this is not a southern style biscuit, having spent my life 60 years making them for the family. 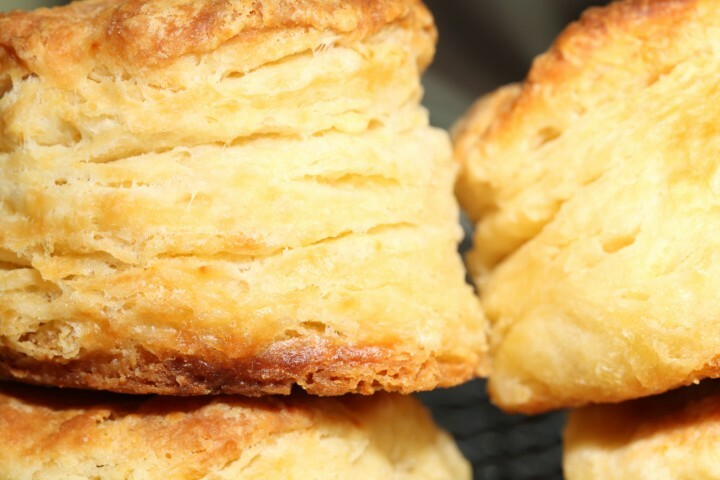 For one thing, butter incorporated is just too “fancy” for a good southern biscuit. You can make a supper biscuit with half butter and half shortening (or lard) if your trying to impress visitors from the northern states. JOKE! Butter used to be quite expensive, so it was used sparingly where it did the most good. And MELTED on the biscuit was best use of a precious commodity in the high plains of Texas where dairies were are not common. But we preferred gravy on our biscuits and as such butter was unnecessary. Biscuits were the main bread (other than cornbread in a skillet) during the hot weather because it took less time in the oven than regular bread. 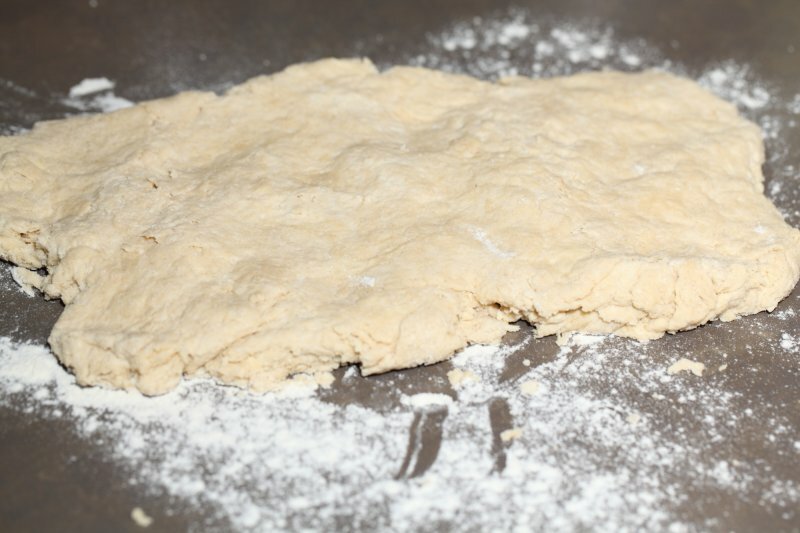 My very frugal grandmother would only make biscuits with “self rising” flour (which had salt and baking powder) because it was the only way to get a “soft” flour in area and it was “fresher” at the store. She made them by gosh and by golly, no recipe and if short on shortening she would add some room temp rendered bacon fat which she always had. IF using store bought buttermilk, she didn’t add anything else, but if homemade or really sour milk used a pinch of soda and a couple of pinches of sugar per 2-3 cups of flour. BTW… southern cream (milk) gravy is a lot different from “gravy” you might have with a roast or sandwich and is not a sauce and does not come in a can. There just is no way to substitute one for the other unless you have never had the real thing. LOL! Total comfort food…but not something I would eat every other day as I did as a kid. Thank you for sharing your wonderful insight and experience with us! Sounds like there are a lot of ways and roads that lead to a genuine biscuit. These days we are very fortunate to just go to the store and buy fresh butter, not used to other forms of fat because we did not grow up with them. We use and love buttermilk but younger people already find this a strange ingredient these days, because they did not grow up with it. And so things evolve but not always get better of course. Wishing you all the best in the new year to come with lots of excellent baking and sharing. It looks like a great recipe, but i have one question. They filled it with cheese, chicken etc. and back it. Can i used the above mention recipe or i have to change it little bit or that biscuit dough is all together different recipe. I am sorry, we do not know this commercial product and have no experience or any way to compare it with our own recipe. We also have no experience baking these biscuits with a filling like you mention. 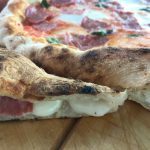 We expect our recipe to differ from a commercial product which normally contains lots of additives, so for this reason making your own and trying our recipe could be a good idea. Hope you will give it a try. Eindelijk een fatsoenlijk recept met Nederlandse maateenheden, yeah, dankjulliewel! Ik heb toch een paar vraagjes: werkt dit ook met self-rising/zelfrijzend bakmeel? En mag de suiker/honing weg gelaten worden? Dit recept ga ik eeeecht uitproberen, want ik heb iemand die Buttermilk Biscuit Verslaafd is, haha! Succes en veel plezier met het recept! Thank you so much for this recipe! I’m British, but have many American relatives, and always loved biscuits when visiting the states. This is the first recipe for biscuits I’ve used where I’ve been happy with the results, though I cut out the sugar because I like ’em savoury. 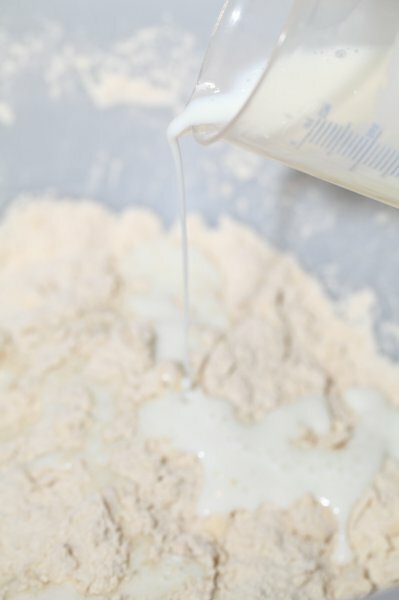 Only thing is I needed to use much more buttermilk to get the dough to stick together – about 300ml. With only 220ml there’s still loads of flour crumbs sitting at the bottom of the bowl. Any thoughts why I might need so much? I’m using a cultured low fat buttermilk if that’s important. Hello Dorian, thank you for your comment. The buttermilk we can buy in The Netherlands is liquid, it is slightly thicker than milk. It sits between milk and yoghurt but more towards the milk side. Perhaps your buttermilk is thicker? You can make it thinner with some added milk. 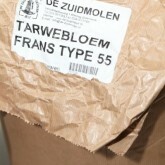 Also the T45 and T55 flour we use does not absorbs as much liquid as regular bread flour. The hydration of this recipe is 62,8% (220 / 3,50) and that should be enough (together with the butter) to get a dough like structure. Happy baking! Hello Brian. We have also recently started to make our own butter, regular and fermented (which was really good). You are right, it is such a logical thing to do, making your own bread AND butter. Plus we found it great fun to see it worked so well. Love this site ! I have done already a lot of the recipes, this weekend I would love to try this one but I live in Amsterdam and do not know where can I find buttermilk, what is the name in Dutch? Many thanks in advance and thanks for all the amazing tips and recipes. Thank you very much Sonia! Look for ‘karnemelk’, you can find it in any supermarket or organic store. Hope the recipe turns out great. Ik ken het recept van Reinhart, maar bij mij wilde het niet zo vlotten met het raspen van de boter…toen ben ik toch weer terug gegaan naar de stukjes. Slagroom met citroensap is een goed alternatief lijkt me. We maken met melk en citroensap wel eens verse kaas (paneer) dat gaat ook heel goed. As a Southerner living in the Netherlands for almost a decade, I’m sorry to say this is not a true biscuit. It’s a northern style of biscuit. But I can say with certainty that the buttermilk here is the same as in the US. Maybe a touch thinner, but just as tasty. I love buttermilk and do not ever drink ‘sweet’ milk. 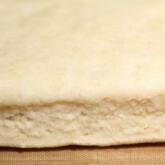 True Southern buttermilk biscuits are self-rising flour, lard (reuzel) and buttermilk. That’s it. 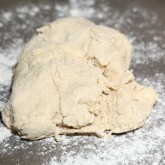 It’s a delicate dough that took me years to learn how to handle, as we never cut ours, we make ‘drop biscuits’. The only time I ever saw my grandmother cut biscuits was when she was employed as a cook. There, time was a factor. I do tend to make my own self-rising flour here but that’s how I am. We also cook them at a very high temperature. 500F, in fact. I’m afraid I can’t give you a recipe because it’s all ‘That much’ of this and ‘This much’ of that and you cook it until it’s done. But it is the same recipe my great-great-grandmother used on her wood stove in the back woods of the Georgia mountains. Maybe we should meet up sometimes and I can show you! Thank you very much for your explanation and your offer! I know what you mean and I do not claim authenticity in any way as you can read in the introduction to the recipe. Like I said, there are many schools and thoughts on a lot of recipes and I am sure even battles have been fought over who holds the key to the one true version of certain methods (like in Italy every new town has a different and original version of a pasta dish). I find it fascinating and it just means there there are always new things to discover and try when baking. But a recipe that was handed down through the generations is truly special and something to be cherished indeed! I would be honored if you could show me one day. Thank you again and the very best wishes for the new year! I was born and raised in the American South and lived there until I was in my mid-30s and couldn’t stand it any longer (a long, long story I won’t go into). Your biscuits look and sound better than any I ever ate anywhere. You really know how to use butter. 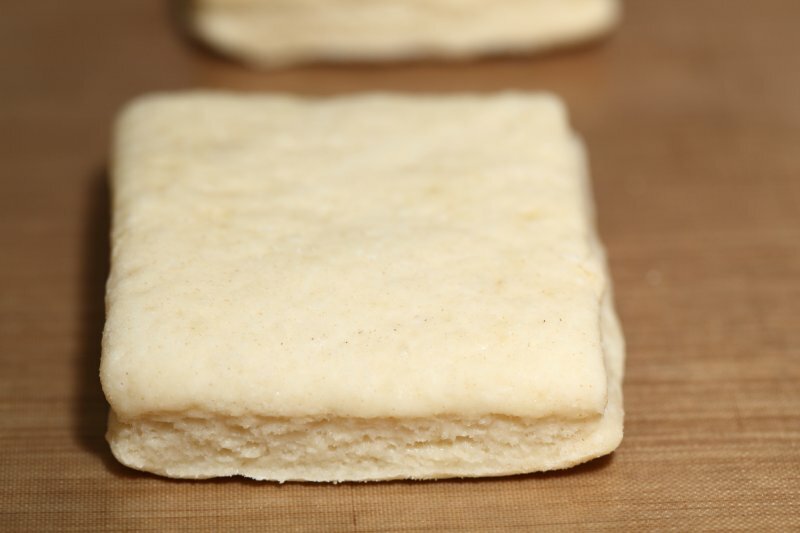 You could teach most Southern cooks how to make biscuits. The only thing that may not be authentic is what you call buttermilk. Our buttermilk has nothing to do with butter churning; it’s a cultured product, so it’s very sour (considerably sourer than yogurt) and thicker than regular milk (about halfway between milk and runny yogurt). It’s usually lower in fat than full-fat milk, but it doesn’t have to be, and it’s rarely completely fat-free. 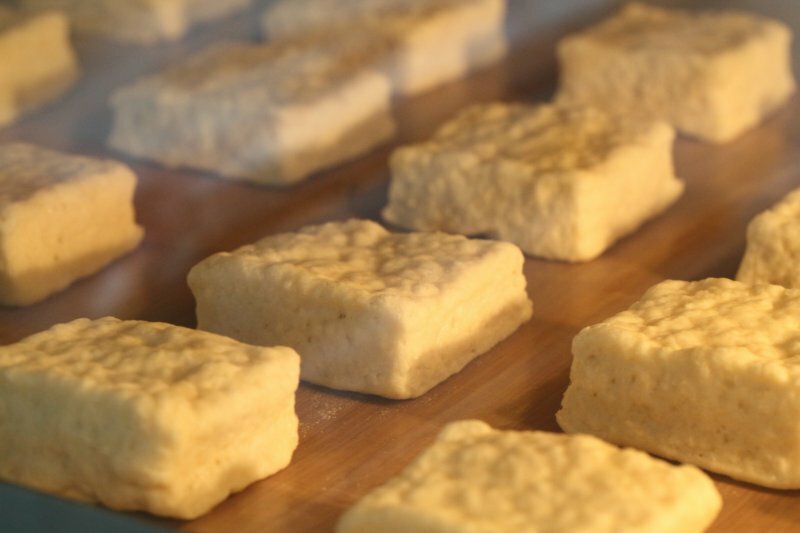 That means biscuits can be made with just baking soda, since the buttermilk provides the acidity, although usually baking powder is used too anyway. Unless your buttermilk also is sour as ours is (you didn’t say, only that it’s left from making butter), the taste will be quite different. Yankee cornbread looks like yellow cake, is sweet like yellow cake, and tastes like very dense, very gritty yellow cake; Southern cornbread is never sweet, is slightly sour (buttermilk again, which Yankees rarely if ever use in cornbread but Southerners always use), salty and savory (from the smoky bacon drippings). It’s cooked in a very hot oven in a cast iron skillet; the bacon drippings are melted in the skillet as the oven heats up and are added to the batter only right before it goes back in the oven, so the batter is sizzling as you stir the bacon drippings into it. 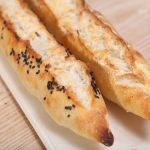 The bread is actually fried more than baked in a traditional sense, creamy and about the color of a baguette inside, and so crunchy and dark brown on the outside that you can hardly cut it. It is, in a word, divine. Yankee culinary institutions (Cooks Illustrated magazine and King Arthur Flour come readily to mind, but they’re not the only ones foolish enough to do it by any means) LOVE to congratulate themselves on developing hybrid recipes that satisfy both Yankees and Southerners. That is impossible, so if you ever venture into the minefield of American cornbread, make either Yankee cornbread OR Southern cornbread, but save yourself the intense humiliation of trying to combine the two, because it can’t be done. What Chris Kimball and the other bozos at CI and the lovely but misguided people at KAF come up with is Yankee cornbread that’s slightly less sweet than normal, but it is farther from Southern cornbread than the sun is from me. You are much too wise and sensible to follow them into that idiocy, but I felt obliged to warn you in case the temptation ever comes slithering your way. Which further reminds me… if in investigating Southern foods you come upon a highly visible, highly self-promoting person named Paula Deen, who claims to be from the South and presents herself as an expert in Southern cooking (and fools people like Oprah), steer clear of her. If the stuff she makes is Southern, I’m Abraham Lincoln. Thanks Jim for your wonderful read, we enjoyed it and learned a lot from it! I can assure you that the buttermilk you and me are talking about is indeed the same product. We call it karnemelk (churned milk) because it is the byproduct that is left after churning butter and of course, especially in the ‘olden days’ everything was used so this ‘milk’ was left to sour with bacteria from the air, making it also thicker (between yogurt and milk). But nowadays they usually make it with low fat milk and added bacteria and it is fermented for a day or so. Some countries even add salt to it I believe. We will take your tips about the cornbread and certain people at hart and wish you many happy baking days! Oh, yes, the wonderful buscuit and gravy! And always using butter, my recipe calls for a pound of butter in the biscuit mix! We love sausage gravy on ours,( browned Sausage in a white sauce). Years ago I found a recipe for “chocolate gravy” that I tried out when my kids were young. Basically, chocolate gravy is a homemade chocolate pudding served up hot on a buttered buscuit. I myself have not been inclined to try it on a buscuit. It has become a favorite, now it is what my kids (they are all adults now!) always want when they are home for a holiday breakfast, I now make both the tradtional sausage and the chocolate gravies. For us, salty or sweet, the biscuits are here to stay! Oops, I meant to put in the link for chicken and dumplings, dumplings are delicious but don’t reheat well. Biscuits stay fresh for a few days. Aha, I understand. We call it chicken ragout (without the dumplings that is, we have never made them but they sound delicious and comforting). I am loving your website. 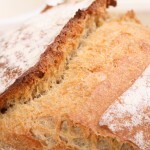 I’ve been enjoying learning about bread with your recipes. I love biscuits. I like them alone, with coffee, butter, jam, gravy. I LOVE them with fried eggs, cheddar cheese, and bacon as a breakfast sandwich. My favorite way to make biscuits is chicken and dumplings. My grandmother’s recipe was similar to this one, without the herbs. Unfortunately, they don’t reheat well so have a few friends over to eat them right away. Thanks! 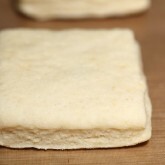 We keep some biscuits in the freezer, defrost them quickly (microwave) and put two halves in the bread toaster. It is not the same as fresh but still very tasty. Happy biscuit and bread baking! Hi Ed & Marike: I am not in the least bit surprised at the fantastic outcome of your southern biscuits. 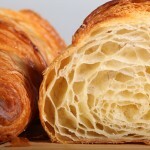 The height and separation of the flaky layers are indeed outstanding. Excellent job.! When it comes to food I believe in the mantra, there are no good or bad foods, but there are good and bad quantities for all foods. I want to echo Jay’s praise. As an American who grew up on American biscuits and makes them regularly, you’ve done quite well. I would even say, you’ve done better than most Americans! 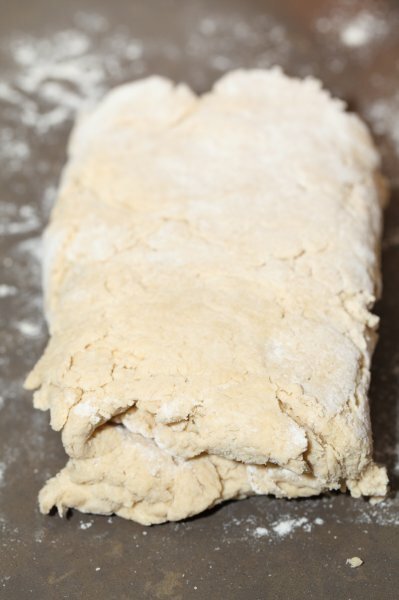 Your handling appears quite deft – a good pastry baker’s touch, which makes for good biscuits. 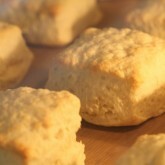 In the States these biscuits are a hallmark in our southern cuisine, where quick breads dominate. 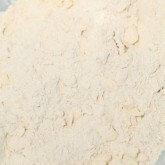 Soft wheat flour is highly preferred, and While Lily is the go to brand. Self rising just makes it a bit simpler easier as it takes care of all the leavening. I prefer butter to veg shortening, but I still believe the very best biscuits are made from lard (rendered pork fat). In the south they are used and eaten as a general bread, and yes the “gravy” with biscuits is quite popular. You have judged the gravy well – basically it is a well seasoned bechamel, to which generally has been added cooked American breakfast sausage (for which I don’t think there is anything similar in the Netherlands, but I can send you a recipe for making your own if you are so inclined). Purist will actually use the fat rendered from the sausage, rather than butter, to build the roux. Another common application is the “sausage biscuit” in which a warm biscuit is filled with a grilled breakfast sausage patty – think of it as the American breakfast version of a hamburger. My personal favorite is to take them very fresh out of the oven, split, top each half with butter so that it melts, then drizzle on the honey. I am curious about your citation of buttermilk. Is that karnemelk in The Netherlands ? Praise indeed! I am blushing over here. As I make the biscuits more often I get the feeling I understand them better and better. But as for the lard, that is a bit of a challenge for us. This has much to do with the fact that you cannot walk into a supermarket in Holland and buy it. You will not find it there. Some butchers might have it or you have to make it yourself. In Holland it is called ‘reuzel’ and it is very much associated with parents and grandparents. My own father told me how he loved a sandwich with lard and sugar when he was young (and the membranes/tissue that was left was called ‘kaantjes’, baked crispy and eaten with ‘stroop’ . So for us eating lard became something that people ‘used to do’ . There are also negative connotations nowadays surrounding ‘hard’ animal fat and people are encouraged to buy liquid vegetable fat /oil. That does not mean we do not understand it can be very good and very tasty! Sometimes the things that are branded bad for you can also be good for you in many other ways ;). And yes, on that note, we would love to learn more about the breakfast sausage! You are right, by buttermilk we mean karnemelk. 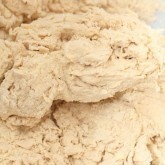 The stuff that is left after churning (karnen) butter. It is very low in fat, almost the opposite of lard, and we also like to drink it with a bit of (limonade) sirup or with orange juice. Hope you have a lovely Sunday and thanks again for sharing! As a Yank and quite familiar with biscuits, I think you have done quite well with these. I am not sure of the French flour you speak of, but in the South (USA) they use a flour with only 9.5% gluten/protein content. 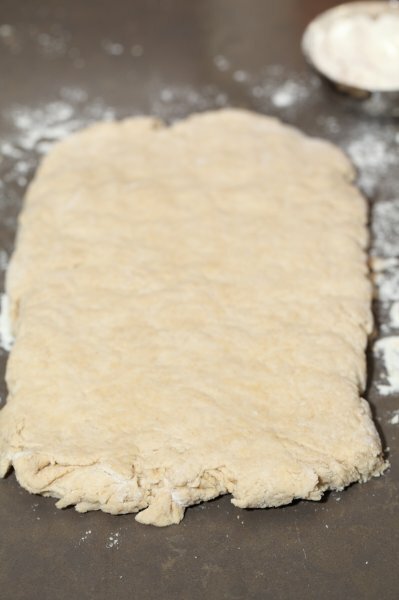 Good biscuits require very little handling so there is very little gluten development so they stay soft and moist. From the looks here, yours look bang on. We do eat them with honey or jam/preserves also, as with a scone, and is my preferred way of eating biscuits. Some of the fast food chains make, IMHO, a pretty tasty breakfast sandwich out of them. Really about the only thing I will eat at one. Thank you so much. This means a lot to me. It is hard to determine the authenticity of a recipe and to know how it is intended by the people who are really in the know. 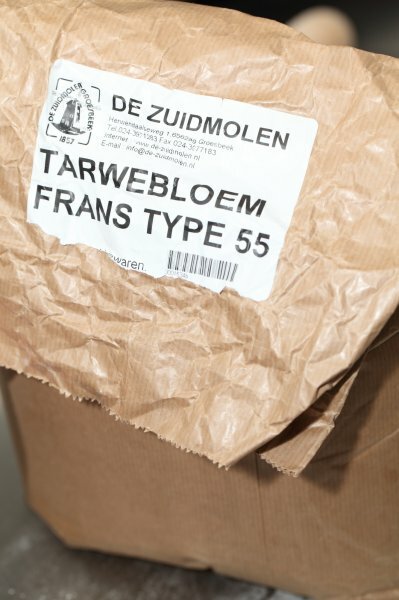 The French type 45 flour has a protein content that is close to 9.5%, as close as you can get probably to the flour you use in the US. 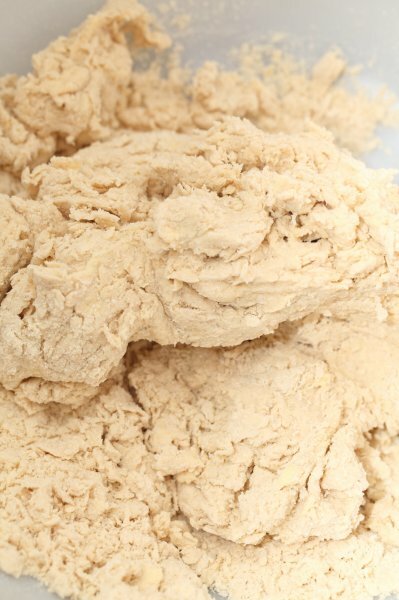 On the web people talk about White Lily flour, especially the self-rising flour, that seems to be the best or most authentic for making biscuits. It is made with ‘soft winter wheat’ according to their own website. Good to hear how you prefer to eat your biscuits. It was sort of a surprise to hear about people eating them with savory food (but it turned out we like it too). When I look at the pictures of what people describe as ‘gravy’ I am very intrigued. It looks like a French roux based sauce with filling (in Holland we call this ‘ragout’ to add to the confusion) while our gravy is a thick brown sauce mostly made with meat juices. You can see how they are all connected but, together with the people, took different routes to get where they are today.